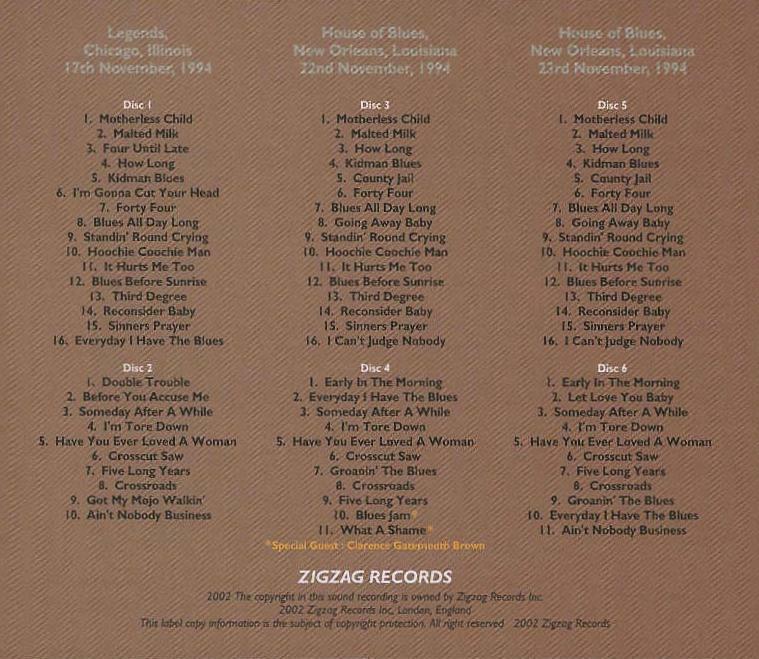 Comments: Please note that the packaging for the set claims the first set of discs is from the performance at Buddy Guy's "Legends" in Chicago in 1994, this was an error on the part of the label! The first show in the set is actually the last performance from the run at the Royal Albert Hall in London, England on March 5, 1995! That Legends show was later released on the bootleg "The Real Legends" on another label.